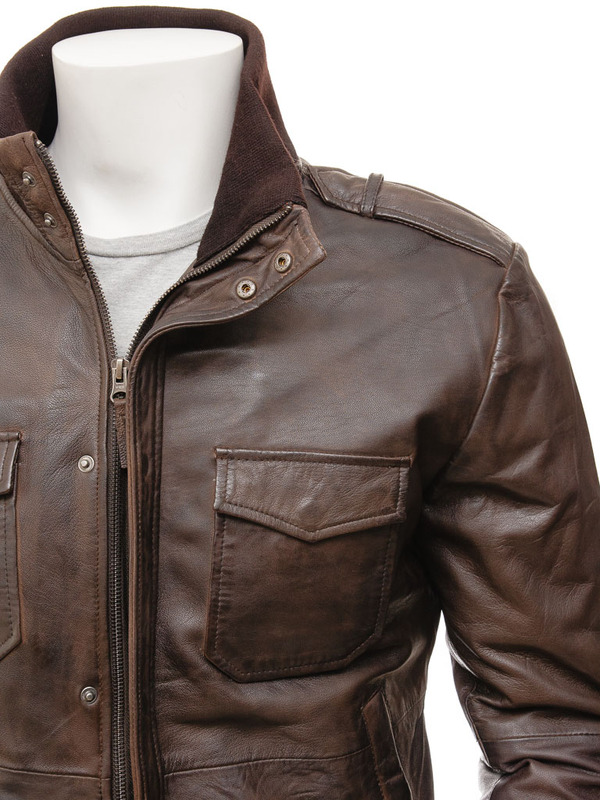 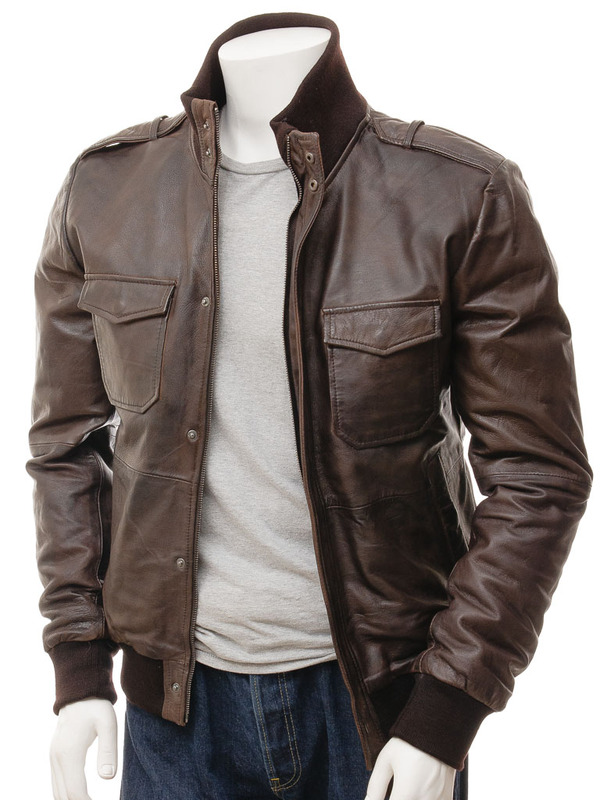 A very cool, slim fit brown leather bomber jacket. 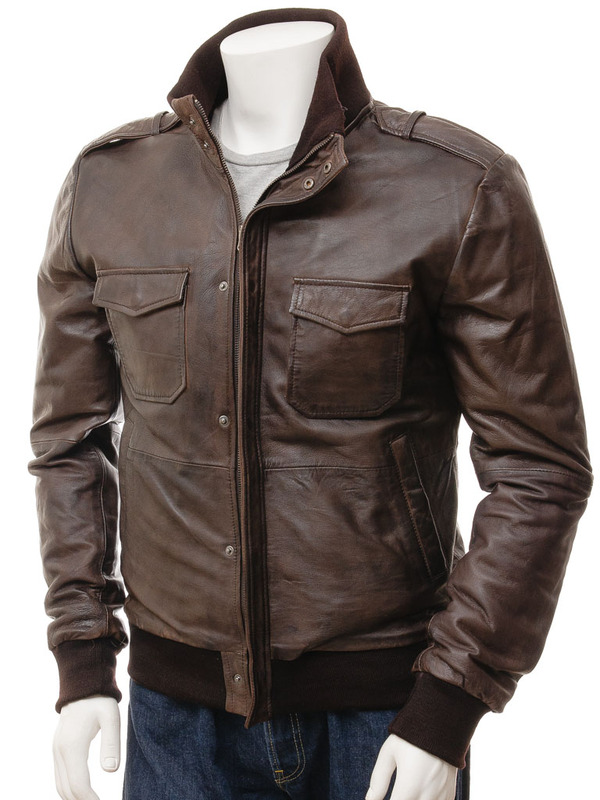 Made from high grade sheep nappa leather, this leather jacket ticks all the style boxes this season. 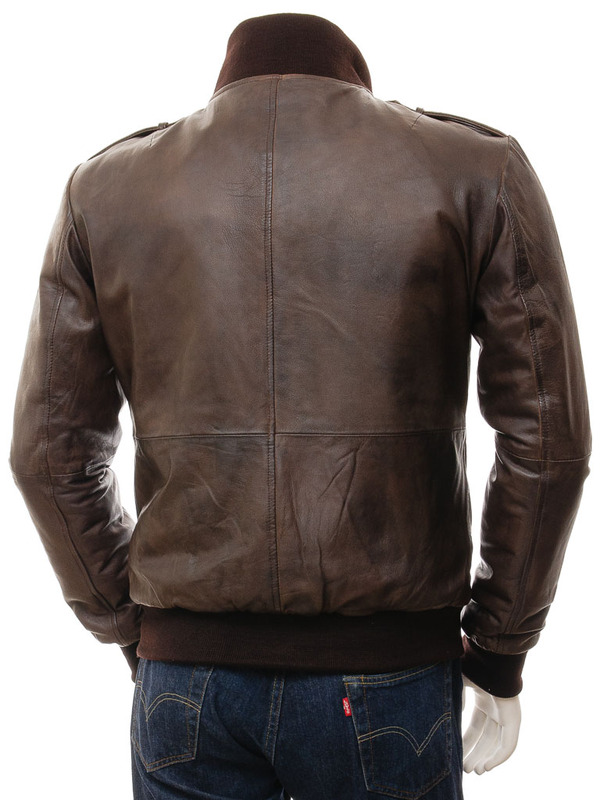 Cut to fit lean and slim, the jacket features a press stud covered zip front, epaulettes and rib knit collar, cuffs and hem. 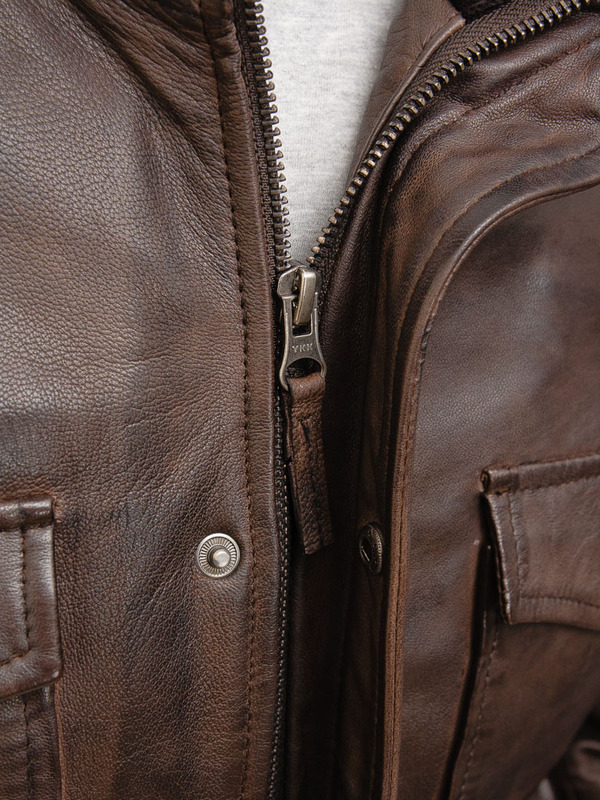 The body holds two inset and two patch pockets with a further two inside the fully lined interior, one of which is zipped for added security.